Restrain or confine dogs to prevent koala attacks. Almost any breed is capable of inflicting serious injuries and even death. 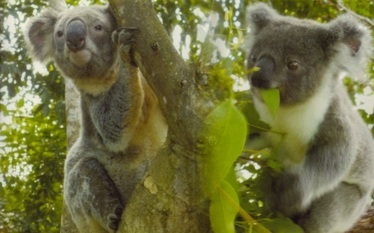 Almost 80% of koalas attacked by dogs do not survive. If you see any dead koalas, please contact us. Dead koalas need to be checked for tags or microchips for research. Dead koalas can also be used for pap, which can be used on sick koalas with stomach issues. Check the pouch of females for joeys, and if found, do not remove the joey but wrap the mother's body up to keep it warm until a rescuer arrives.